We receive a lot of enquiries from WordPress developers wanting to buy our premium plugins for a client with no ongoing costs. They say they want to buy the plugin for a client and then hand over the website without the client having to pay to pay any future costs. It surprises me that so many WordPress professionals have such short-term relationships with their clients, as well as so little understanding of the issues around WordPress and ongoing maintenance. This applies to all premium plugins including our WordPress table plugin, WooCommerce Product Table, our WooCommerce private shop plugin or our plugin for password protecting categories in WooCommerce. Or indeed any plugins from other developers. I’m writing this post for other developers, to share our experience of reselling WordPress plugins to our own clients. This will help you develop an effective process for charging clients for ongoing plugin costs. It will also help you to build more profitable, longer-term relationships with your clients. I’m also writing this post to highlight some wider issues. I believe that buying a WordPress plugin should not be a one-off expense. Treating it as one overlooks the importance of ongoing software updates and maintenance, causing problems for your clients later on. Why are some WordPress plugins billed annually? Until a couple of years ago, most WordPress themes and plugins had a single one-off cost. A small one-time fee of perhaps $29 would get you a premium plugin plus unlimited updates and support FOREVER. You heard me right. WordPress theme and plugin developers were prepared to develop a software product, keep adding new features and keep it in line with the latest web technologies and WordPress versions for a tiny one-off fee. They were also prepared to respond to unlimited support queries as part of the deal. Customers love this model (obviously) but you can easily see how unsustainable it was. No viable company can afford to do such a high amount of work for so little money. Even if they have thousands of customers, the extra support demands that come with more customers make it hard to sustain. What happens if a plugin developer can’t afford to provide ongoing support? This model can lead to WordPress theme and plugin authors withdrawing their products, leaving customers in the lurch. For example, the Terso theme was quite cutting edge back in 2013 and got lots of sales – we used it for one of our clients’ website designs. A couple of years later, the theme company decided to stop supporting or updating the theme. They justified this by saying that sales had now dropped off. They couldn’t afford to support their original customers now this wasn’t being funded by new sales. Websites using the Terso theme are now stuck between a rock and a hard place. They need to update to the latest version of WordPress for security reasons and to keep everything running smoothly with their hosting environment, other plugins etc. But the latest versions of WordPress don’t work with the Terso theme. The page editor breaks so you can’t make changes. Not a good place to be. This illustrates the problem with one-off plugin sales. The tiny one-off fee can’t possibly pay for long-term term support and updates, leaving customers vulnerable once the sales stop coming in. It’s only reasonable to say that if you expect ongoing plugin support and updates, you should pay some sort of ongoing fee. 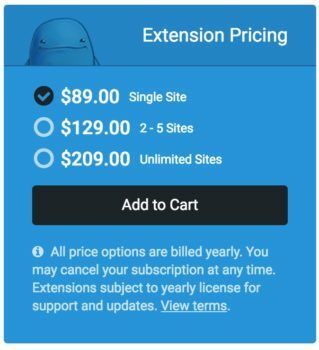 The Envato marketplaces such as ThemeForest and CodeCanyon now make you pay every 6 months to continue accessing support. Some big WordPress plugin companies such as WooCommerce, Gravity Forms and the Events Calendar require annual renewals to continue getting updates and support. They’ve recently been adding new features such as auto-renewal or you can renew manually. Other WordPress companies like Easy Digital Downloads automatically sign you up to an annual subscription when you buy a plugin. You continue receiving support and updates unless you cancel. We use the 3rd option for our WordPress plugins. This saves customers having to bother renewing each year. Automating the prices reduces admin time. It also increases renewal rates, giving us an incentive to continue developing and supporting our WordPress plugins. I predict that in the next couple of years, most or all WordPress themes and plugins will adopt a similar model. This is annoying for customers who want a cheap one-off solution. However a plugin is not a one-time solution as it comes with ongoing support and updates, so I can only see this as a good thing. The market needed to correct itself in this way and will be more robust in the long-term as a result. So that’s all well and good. The problem is that a lot of developers are still selling WordPress websites to their clients with an expectation that there will be no ongoing software costs for themes and plugins. Let’s talk about this now. With many premium WordPress plugins, a subscription is often set up to take payment each year (or maybe every 3 or 6 months, depending on the plugin). If you like, you can cancel the subscription straight away so it effectively becomes a one-off payment. If you cancel then you can generally continue using the plugin for as long as you like. After the first year ends, you won’t be able to install future plugin updates or access support. This is fine for WordPress developers who plan to launch the website, bill the client and then hand everything over. However it’s not really fair on the client. If you develop a website and install premium plugins with licenses that will expire, the client deserves to know. They need to know that it’s important to keep installing plugin updates when they’re released, as this keeps their website running smoothly, secure and bug-free. If you buy a plugin for a client in your name then the renewal reminders will be sent to you. If you’re no longer working with the client, they won’t know the license has expired. The plugin updates will stop appearing in the WordPress admin but the client will just assume that no update is available – not that they need to renew. I’ve talked about why clients need your help to keep their website running smoothly long after it goes live. The other side of the coin is the benefit this can bring you as a developer. A lot of WordPress developers design a website and then hand it over. They may or may not provide hosting, but overall the responsibility passes to the client. In most cases, I think this is a mistake. Most clients aren’t on a position to properly maintain their website themselves. They’d be better off if the website remained in your capable hands. And just as importantly, this brings you a vital source of ongoing revenue. By selling maintenance and support plans to clients, over time you can earn just as much as from the initial website development. Possibly for a lot less work, making it much more profitable for you. If you’re providing ongoing services to a client, it’s no trouble to include a small extra amount on your regular invoices for plugin renewals. You could even add a markup to cover your time in administering the renewal for the client (even if it’s automated), further increasing your revenue. Even if a client declines your hosting and maintenance services, ongoing plugin renewals are an opportunity to renew your relationship. You may not have talked to them for a while, so this is an excuse to give their website a once-over, offer a software update and any other work that’s needed. Hopefully this will result in more work and ongoing revenue for you. Ideally, it’s best to have an effective process for how your clients’ plugin licenses will be renewed. You can automate this when you first develop the website, saving time and admin when the renewal date comes. Who should pay for plugin licenses? There are several ways you can do this. The first decision is whether you will pay for renewing the plugin, or whether your client will do this directly. For some of our web design clients, we ask them to buy the plugin directly and send it to us. This is good for clients who you know will be unlikely to invest in ongoing website maintenance. It puts the onus on them to keep the plugin renewed and up to date. You’re giving them the tools to fully take over their website and aren’t misleading then in any way. For clients whose websites you plan to maintain (or who you want an excuse to contact in future), you can buy the plugin on their behalf. If you do this, you should always sign up on ongoing renewals and make this clear to the client. Don’t buy the plugin, cancel the subscription and ignore the situation. If possible, your initial quote for the website should include a section about ongoing plugin costs. This can be separate from the main quote (so it doesn’t make your prices look less competitive!) but it helps clients make an informed decision. If you don’t know whether the project will require paid plugins, that’s ok. The quote can mention that you will consult the client about any premium plugins that you recommend during the project. If you discover that you need to use a premium plugin during the project, you can get the clients’ approval at the time. Explain the benefits and the fact that it’s an ongoing cost so they can get ongoing updates and support. This can get awkward if you have quoted for a custom development project and end up deciding to use a plugin. You may feel uncomfortable suggesting that the client pays an ongoing cost for a plugin you were planning to develop from scratch. If this happens, you can explain that as part of your in-depth analysis in the early stages of the project, you have discovered a plugin that is better than your original outline solution. Clients can save money by using off-the-shelf plugins because the plugin company is responsible for ongoing maintenance – even if the initial development cost is the same. If you develop a custom feature that doesn’t work with a future version of WordPress, the client has to pay to redevelop it as needed. 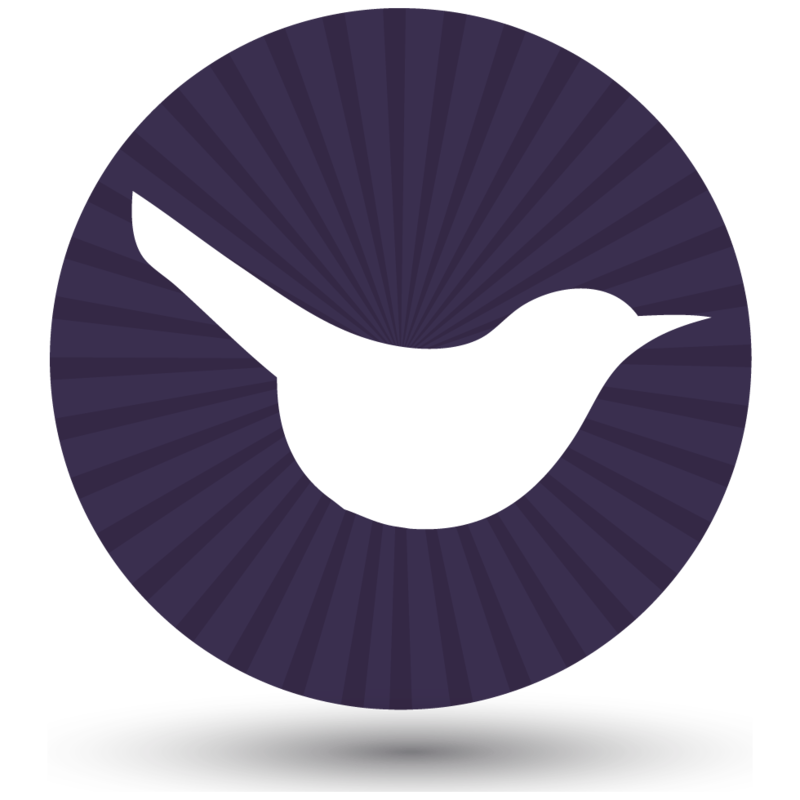 With an off-the-shelf plugin, the plugin developer will release a fully compatible version. For example, our responsive WordPress table plugin displays various information from posts or pages in a table. A recent WordPress update changed the way taxonomies work so we had to change the plugin and release an update to work with the new version. All our customers could then continue using the plugin with the new version of WordPress for no extra cost. In contrast, if you had developed your own WordPress table plugin then you would have had to do this yourself, which would cost a lot more. By explaining this, you can get a clients’ buy-in for plugin costs even if this wasn’t the original plan. Set up a subscription to pay for plugin renewals on behalf of a client. You can then recharge for it as part of your usual invoicing system. You hopefully already have automatic invoicing for clients’ other ongoing services. This might include hosting, SEO and maintenance (and if not, you should!). It’s easy to include plugin renewals in this, with any markup you decide to charge. Everything can then happen automatically. I hope these tips help you to present the ongoing plugin costs to clients in a more positive way. Done properly, this is an opportunity to provide more future-proof websites to your clients. You can also increase your own income at the same time. Katie, Great article. Clearly written and presented and well though out. Except many are overpriced. Charging $99 per year per website for a PLUGIN is quite steep compared to other full software programs that are commonly needed for work. Photoshop CC is $120 per year and includes 100GB of cloud storage, fonts, etc. and can be active on 2 devices. Office 365 is less than that and can be installed on 5 devices, up to 5 users, with each user getting 1 TB cloud storage, and other perks. Hi Daryl, this is a big problem in WordPress. Most premium plugins have had thousands of hours development time put into them (not to mention the ongoing development and support), yet clients think that $99/year is too expensive. This is because marketplaces such as CodeCanyon have created artificially low expectations which aren't sustainable. But because you can get plugins this cheaply, people expect all plugins to cost such a low amount. It's hard to compare WordPress plugins to huge enterprise software such as Photoshop or Office, due to the different user bases. Smaller WordPress companies need a chance to get off the ground and be profitable, and the economies of scale are smaller than with Adobe and Microsoft. Your assumptions and conclusions are ludicrous. The subscription model is solely designed to permanently attach you to your client as a source of revenue. If a plugin needs a rewrite at 1 year sell me a new plugin. In a perfect world of perfect clients and perfect business plans maybe. But it turns out not all clients are good clients. Enforcing your subscription probably lowers your plugin placement by about 50% or better. not a single designer I know is going to commit to an auto draw subscription for a client that may or may not be pro website or even in business at the end of the year. Not to mention the additional accounting workload. It is a great way to prevent the usage of your plugin at all. If you make a quality product it will be repurchased when it needs to be updated if not let me go elsewhere don't try and trap me and tell me it's good for me when it only benifits you. Thanks Mike, I really appreciate your comments. You're right that ongoing plugin renewals put off some people. However, I'd rather have a sustainable business with 50% fewer customers than an unprofitable business where we have to release regular updates forever, in return a small one-off payment. Lots of developers buy our plugins and 49% auto renew after the first year, although of course I don't have figures on how many sales are lost because of the annual cost. We send an email before the plugin is renewed so that they can cancel if the website they bought the plugin for is no longer in business, and we also give refunds to anyone who misses this and wants to a refund for the renewal. We don't rewrite our plugins once a year - we test with every new version of WordPress and WooCommerce, constantly fix any bugs as they are reported, and also add new features on a regular basis in response to our customers' requests. Personally, I wouldn't consider doing this without annual license key renewals as it wouldn't be sustainable, and I wouldn't be happy to sell a plugin and then turn my back on our customers because we couldn't afford to support them. However, I understand that being charged annually is a shock for people who are used to buying themes and plugins on ThemeForest/CodeCanyon for a one-off cost. I'm pleased that more and more plugin companies are charging annually because it will make the WordPress industry better for everyone - including customers, as there will be fewer theme and plugins that are abandoned and leave their customers in the lurch.